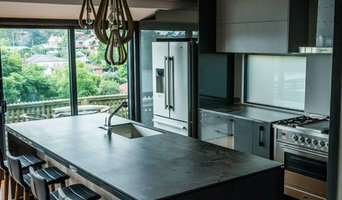 Shellharbour Designer Kitchens professionally design, manufacture and install custom kitchens and joinery throughout the Illawarra. PERFECT GOLDMAN CONSULTING aims to deliver outstanding project management from concept to completion for any of your renovation dreams. Kitchens, outdoor alfresco areas, laundries, any joinery needs for your home, appliances, handles, sinks & taps. If you are dreaming about it, we can take the hard work out of renovating and liaise with all of our suppliers to deliver a masterpiece for you at an affordable price. 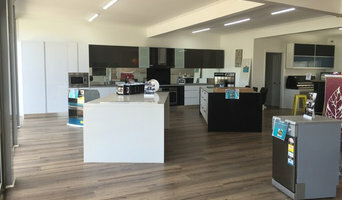 Perfect Goldman was born from our years of experience in the kitchen and home improvement industry and realising there was a need for a business who provided a personal, in home and stress free solution to renovating. One business you talk to about all your requirements. 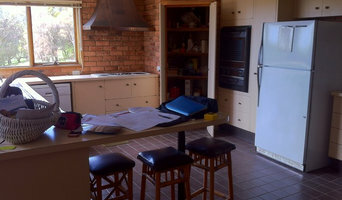 Servicing NSW & QLD currently, we have the potential to manage your renovation wherever you are located. After you make your initial enquiry Perfect Goldman Consulting makes an appointment to see you. We come to you with a wealth of knowledge, an abundance of suppliers, plenty of design ideas & colour selection pallets. We will spend time with you talking through your dreams and desires, measure the space and walk you through all the requirements. We leave you with information and more than likely excitement about your upcoming renovation. Perfect Goldman then source the suppliers, have the project drawn & gather the quotes required. Perfect Goldman Consulting is the only business you need to liaise with from the beginning to the end of your renovation project. For an obligation free consultation and quote please contact us today! We are a family owned business since 1960. We specialize in project management and a detailed installation. We manufacture on site, kitchens, bathroom furniture, laundries, bookshelves, entertainment cabinetry even small building works like pergolas & decking. Design and manufacture kitchens / Bathrooms/ Laundries / bedroom furniture . I work in with a fantastic Company who manufacture cabinets / Has a Spray Booth for Polyurethane doors, drawers and panels. Any size or shape of furniture can be sprayed along with glass splasback s of any colour. Fabricate All different brands of reconstituted Stone / Marble / Granite. Along with a tile shop with all different varieties of tiles. We have all the people to help you make your choices. Computer drawings available for you to help you visualise your dream Kitchen / Bathroom / laundry. Our SKD KITCHENS workforce is project-focused, committed to the achievement of high quality standards, and gains satisfaction from meeting or beating targets. The SKD KITCHENS considerable emphasis on leadership, responsibility and accountability and is committed to developing the individual skills and career paths of its employees. Accordingly, training and talent management are high on our agenda. Creating a rewarding, challenging and safe workplace for all our people is one of our core values and one of our highest priorities. Every day our operating companies are engaged in complex and difficult activities, hence the importance we place on safety. We foster a performance driven culture throughout the Group and reward performance against stated objectives through various incentive schemes. Our people operate through a decentralised management structure that allows a high level of empowerment and autonomy with a commensurately levels of accountability. It is a flexible structure that can adapt to changing market conditions and supports the distinct identity and market position of each of our jobs. DIY Australia bringing you excellence in all areas of kitchen renovation. Experienced, professional renovation services. Low priced DIY / Flat pack kitchens. We do Customized kitchen cabinets, bench tops, doors, glass splash backs, Poly doors, laminated doors in a way that is easy to install. DIY Australia will custom make a flat pack kitchen to your room measurements. Kitchens are made in Australia and use Blum hardware with a lifetime warranty. We do free measure and quotes and service the whole of Australia. We offer 2pack / poly / polyurethane doors, laminated doors, vinyl wrap doors. We use only Australia made materials for our doors. Our main clients are commercial builders, handymen, trades people and home renovators. Custom cabinetry and joinery. Kitchens, wardrobes, vanities, laundries, offices, built-in cabinetry. 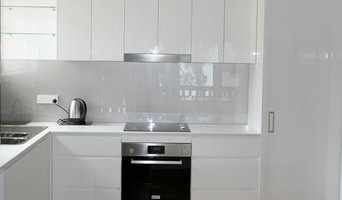 Paiano Custom Kitchens is a family-owned Wollongong kitchen design, manufacture and installation business. 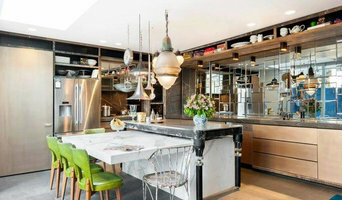 Our interior designer and certified kitchen designer work with you to create kitchens, laundries, bathrooms and cabinetry that suits your style, space and budget. We'll make the kitchen your favourite place to be.